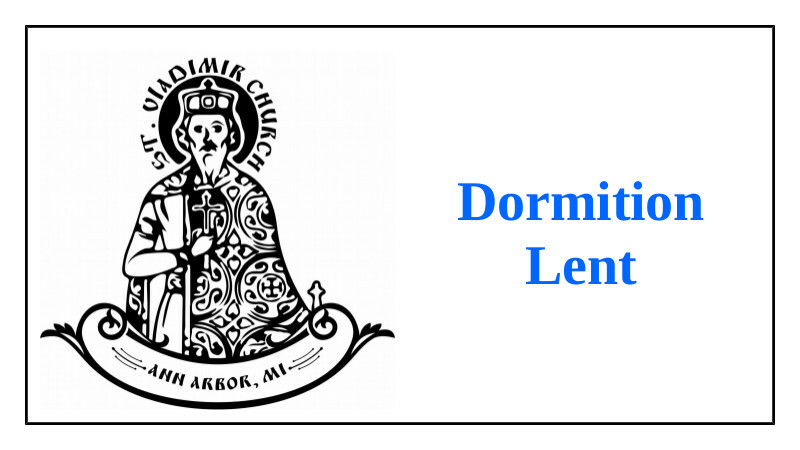 Please note that the Lenten period in preparation for the feast of the Dormition of the Mother of God begins on Tuesday, August 14. This is fast of a stricter character, similar to Great Lent. Fish is allowed only on the feast of the Transfiguration, August 19. It is important that we make a sincere effort at fasting by abstaining from meat and dairy products, but with the express intent of abstaining from these foods to aid us in abstaining from our sins and preparing ourselves worthily for the feast of the Dormition. Please contact Fr. Gregory with questions (or for some great fasting recipes! ).